With IT being a more important aspect of a child's education than ever before, it's crucial that they are being educated using the most up to date and comprehensive systems available to schools. In a similar way, in order for schools to best advertise their services, and conduct their day-to-day activities as efficiently as possible, having the most effective and up-to-date technology available for use is absolutely essential.We're not going to throw our hat into the ring when it comes to desktops, laptops, monitors, or anything like that; but we are experts on printers, and when it comes to getting the absolute best of printers in a school, we have a few suggestions. Banners and posters are excellent decoration for classrooms; focussing wandering minds on key facts and concepts, while adding colour and invention to otherwise empty walls. The added bonus with such creations, is that they can be, and often are, generated by the pupils themselves, leading to further engagement in the classroom, and, hopefully, better retention of key information. 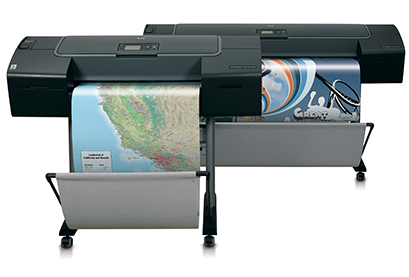 Additionally, student or staff generated advertisements and promotional materials for school events and productions can quickly and easily be generated.For this kind of usage, we recommend the HP Latex 310 Printer; a printer that delivers all of the awesome functionality of latex printers, but in an easy to use, energy efficient package. Requiring little maintenance, with fast printing speeds, and a simplified colour management system, children and teachers will be quickly be able to master it, allowing for superb posters and banners to be produced with ease.A smaller scale alternative to the HP Latex 310, is the HP Designjet Z2100 24 inch Photo Printer providing a more than comparable degree of print quality, in a much more manageable package. Using this printer, high specification banners and posters can be comfortably produced in even the smallest of classrooms or offices. While perhaps too complex a device for operation in primary schools, CAD printers, and the software necessary to get the most out of their use, are often a great fit for use in classrooms in the upper echelons of high school, as well as at colleges and universities across the board. CAD is after all becoming an increasingly more ubiquitous aspect of design disciplines in general; from architecture to graphic design. Any student looking to excel in those areas will need grounding in the tools of their chosen trades, as well as the equipment necessary to facilitate the projects that they are currently completing academically.Of course, outside of the learning environment specifically, CAD printers can also be used to generate signage and similar items, all of which will be necessary for learning institutions to replenish and restock from time to time.For a combination of practicality and cost-effectiveness, we recommend the HP Designjet T120; a printer able to deal with a wide variety of CAD production tasks, across a large range of substrate sizes. 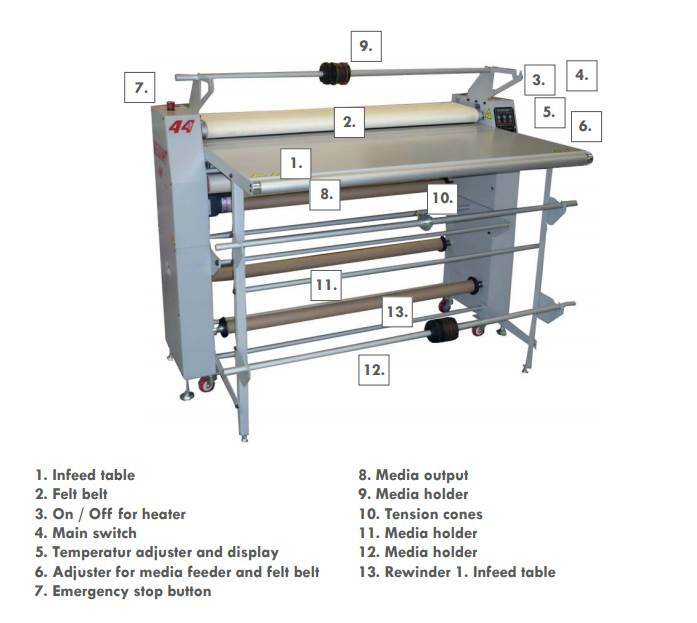 The T120's multiple trays and configurations allow for exceptional printing on sizes from A4, all the way up to A1; for maximum convenience and versatility. Larger educational establiments, universities in particular, will often have need of more specialist printing technology. Dye sublimation can be utilised to complete a wide variety of tasks; from essential tasks like applying critical information (bar codes, for example) to ID cards, to less necessary, but still useful, functionality like textile printing for banners and similar institutional accessories.Dye sublimation transfer machines will generally be utilised primarily by the faculty themselves, more due to the specificity of their function, than any real complexity in their operation; though students studying design related disciplines may find that textile printing functionality is particularly useful to them.Regardless of the specific institutional requirement for dye sublimation, the Heatjet 44 Evo Dye Sublimation transfer machination is quick to heat, and particularly easy to use; ensuring that designs for fabric substrates, sports equipment branding, or ID card information are all accurately and clearly transferred to their chosen medium.